My Beauty Diary: New Instagram Account! Hello~ it's been raining all day in my hometown. The weather is gloomy and cold. Anyway, have you heard the latest news from Instagram? Well, I'm not sure since when (but I think it's still new), now you can add several accounts in 1 phone. That means you can switch your instagram account with another instagram account without changing the phone or log out from your current account. Finally they came with this idea! I always want to have 2 instagram accounts, 1 for my private life and 1 for the blog. But I only keep 1 phone with me, and doing some log-out and log-in actions everytime I want to change the account is quite troublesome. So I only have 1 instagram account. 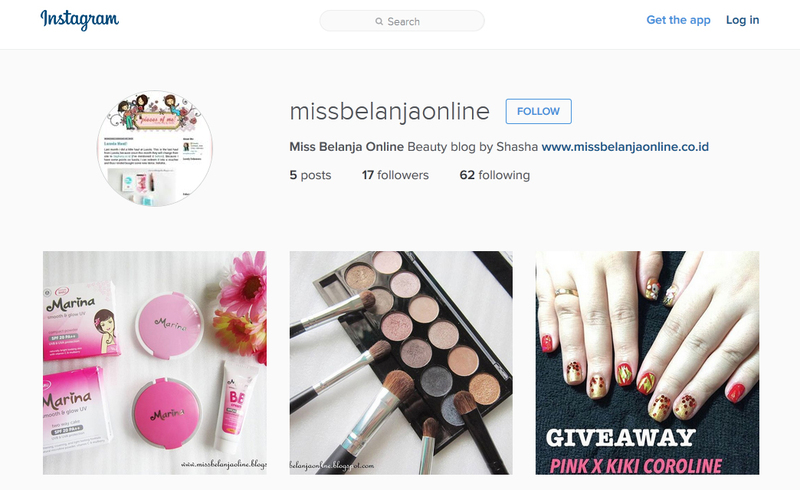 But, now.... finally I open a new account for my beauty blog. I will share the blog update and also anything related to beauty there. Hope you can follow my new account and feel free to talk to me on Instagram. Your pictures on IG are lovely, I'm sure your numbers will swell up soon! hi sasha.. wah penasaran nih sama IG nya..nanti aku follow deh..